Hey everyone! Thanks to all of you who voted for Zachary in Round 3 of the YA Crush Tournament. Another miracle occurred, and he won! He heads to the Final Four on Friday, August 5. Plenty of time for me to pinch myself, when I'm not catching up on sleep. More on that tomorrow. Today my guest on the Girlfriends Cyber Circuit is my dear friend Jennifer Echols, who also happens to be an amazing author of contemporary YA novels. She writes romantic comedies for Simon Pulse and teen dramas for MTV/Gallery Books (equally well, I might add), like Going Too Far and Forget You. 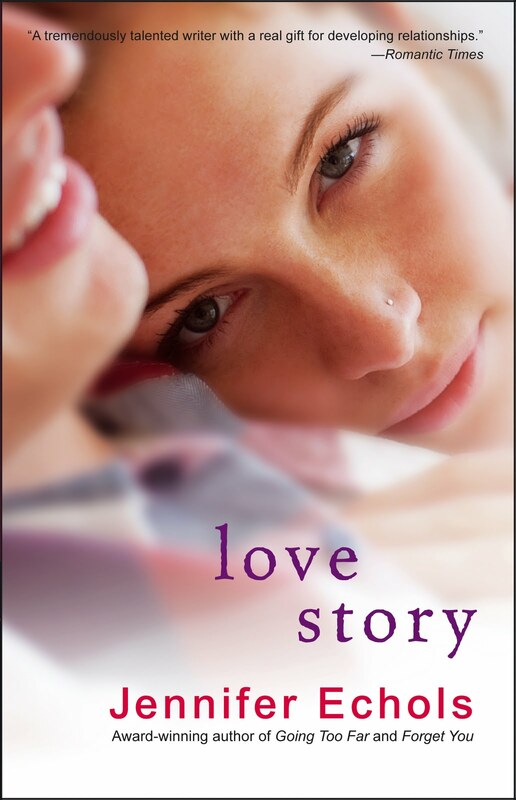 Like her newest book, Love Story, which just came out last week. From the description, it promises to be another delicious, provocative read--the kind of story I love best! And now, my interview with the wonderful Jenn! I can’t cook. I do prepare food, but I have no talent for it. I can’t taste it and know what it needs. I can’t go off-recipe because I will ruin it. I have absolutely no ethnic food culture passed down through my own family. My Thai mother-in-law has tried to teach me to cook Southern soul food, which I think is just sad. Originally I set the book in Atlanta, where I could easily drive from my home in Birmingham to do research. At some point it became clear to me that the book needed to be set in New York City, because the heroine wants to be a writer and work in publishing. I had to rely on my memory to reconstruct the city, and during copyedits I was informed that I’d gotten some things wrong. To solve that problem, I called my best friend from high school, who lives in New York now. She dropped everything to talk me through New York and save me from massive rewrites, and then she called her New York cop friend to help me with more details. It is wonderful to have creative friends who don’t think my writer questions are the least bit weird. Turn to page 99 of your latest novel. Which word on that page best evokes your story or main character? 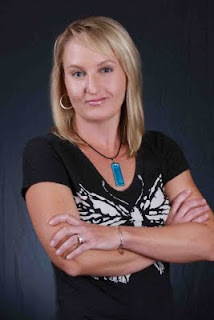 I met Jennifer Crusie at the Booksigning for Literacy at the Romance Writers of America conference a few weeks ago. I stood next to her name on the table and waited for her to show up so I could get a book signed for a friend before she ran out. I absolutely love her adult romantic comedies. I’m sure I didn’t make a great impression, but I didn’t fall on her or anything, and for that I was very grateful and proud. Yay for small miracles! And I'm glad I'm not the only one who can't cook without a recipe. Thanks to Jennifer Echols for stopping by to chat with us. Big congrats on the new release! And people, if you haven't read her books yet, you need to check them out. Like, now. 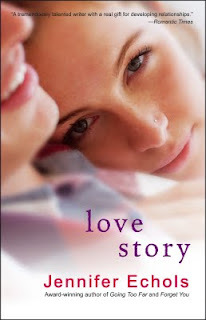 Love Story is amazing! The whole concept was adorable. Awww lostnthestacks, thank you! And thank you so much Jeri for hosting me on your blog!